Israel’s Independence Day is celebrated on the fifth day of the month of Iyar, which is the Hebrew date of the formal establishment of the State of Israel, when members of the “provisional government” read and signed a Declaration of Independence in Tel Aviv. The original date corresponded to May 14, 1948. In 2018, it begins at sundown on April 18. Yom Ha’atzmaut in Israel is always preceded by Yom Hazikaron, Israel’s Memorial Day for the fallen soldiers. The message of linking these two days is clear: Israelis owe their independence — the very existence of the state — to the soldiers who sacrificed their lives for it. The religious character of Yom Ha’atzmaut is still in the process of formation, and is still subject to debate. The Chief Rabbinate of the State (which consists of Orthodox rabbis) has decided that this day should be marked with the recitation of Hallel (psalms of praise), similar to other joyous holidays, and with the reading of a special haftarah (prophetic portion). Most ultra-Orthodox Jews, in Israel and abroad, have not accepted this ruling, and some Orthodox Jews chant the Hallel psalms without the blessing which precedes it. On the other hand, HaKibbutz HaDati (Modern Orthodox Kibbutz Movement) initiated a version of the prayer Al HaNissim (“Concerning the Miracles”) to be added to the Amidah (the central prayer recited while standing) on Yom Ha’atzmaut, as it is on Hanukkah and Purim. This special addition to the liturgy of the day was not approved by the Chief Rabbinate but was adopted by the Masorti (Conservative) and the Progressive (Reform) congregations in Israel. Some rabbis argue that Yom Ha’atzmaut should be viewed in conjunction with Hanukkah and Purim, since all three commemorate a “miraculous” victory of the Jews over an enemy of superior military might. It should be noted that most Israelis do not consider Yom Ha’atzmaut a religious holiday at all. 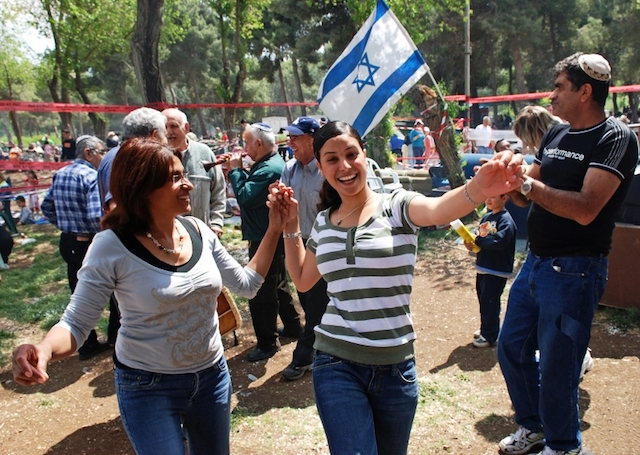 For American Jews, celebrating Yom Ha’atzmaut has been a way to express solidarity with the state of Israel and to strengthen their alliance with it. In many communities, it is one of few occasions in which Jewish organizations and synagogues of different ideologies and denominations cooperate in forming a common celebration. In many North American congregations, the joint public celebration often is augmented by a religious service. 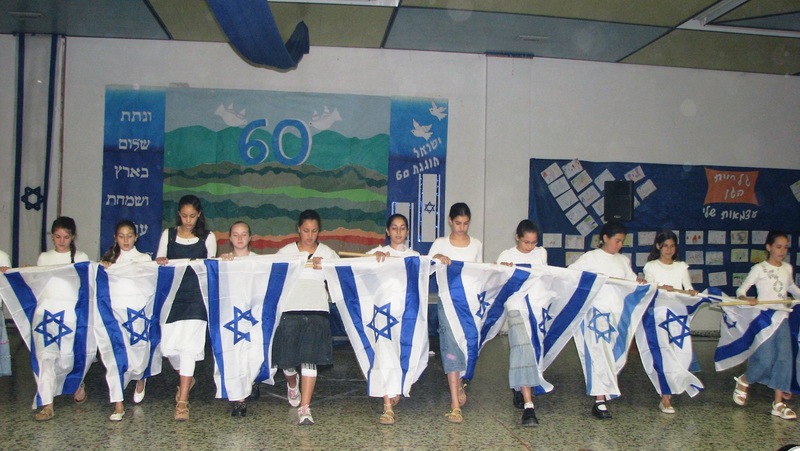 In some cases, this would occur on the Shabbat closest to Yom Ha’atzmaut and would consist of additional readings added to the service and, usually, the singing of Hatikvah (the Israeli national anthem). The standard Reform prayerbook, Gates of Prayer (Shaarei Tefillah), includes a service for Yom Ha’atzmaut, while the Conservative prayerbook, Sim Shalom includes Hallel and Al Hanissim to be recited on this occasion.